Ever since I started Hobie sailing on Lake Charles, every day I’ve rigged up has been an adventure. From no wind to gale force winds, every time has been worth it. 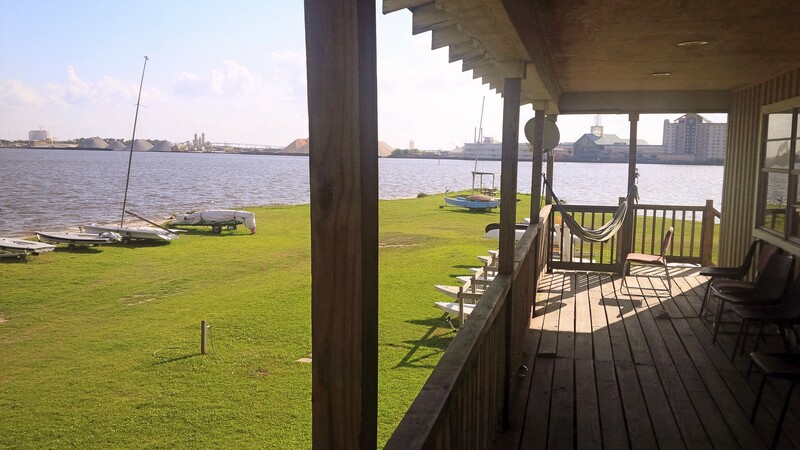 I’ve sailed out of Mobile bay, Destin, FL, and some other places, but the place I’ve always been is Lake Charles, Louisiana. The yacht club there isn’t much, but it sure is cozy. I often go there after school just to chill, do homework, or just to watch the activity on the lake. Like I said, it isn’t much. It looks like a simple beach house on a peninsula surrounded by boats, but to me it’s the coolest place in the world. My Hobie 16 has been through a lot with me. Me and the boys often tie our cats together without the sails rigged, an ice chest on board, with some paddles and an anchor, and we just chill in the middle of the lake. We call it “The Barge,” and it’s the best idea ever. Last 4th of July we basically had a front row seats to the fireworks with it. I often bring friends out on my Hobie when I’m just looking to have a fun afternoon. It’s seriously one of the funniest things watching their reactions when a hull goes up in the air. I look forward to every Wednesday and Saturday like it’s the most important thing in the world. Every Wednesday afternoon, right when the sea breeze rolls in, the club holds a race around the lake. Once a month, the club holds a regatta on the Lake on a Saturday. It’s cool seeing the boats come in for the races from different places and learning about how they work. 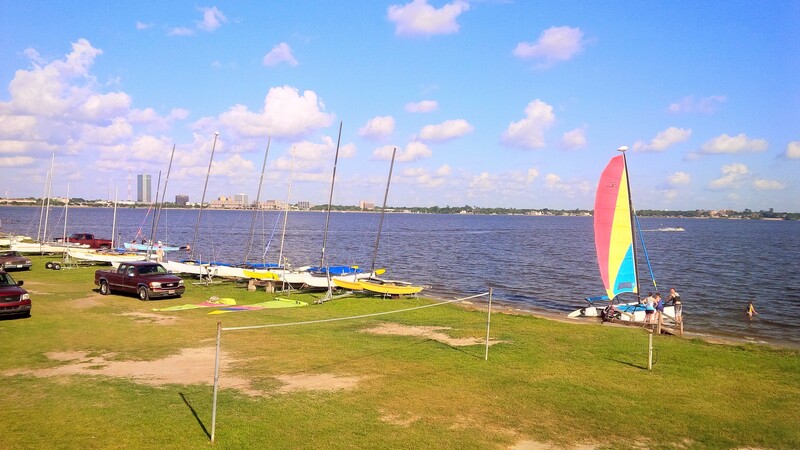 The Lake Charles Yacht Club is where I usually am. I treat it more like a home than a yacht club. 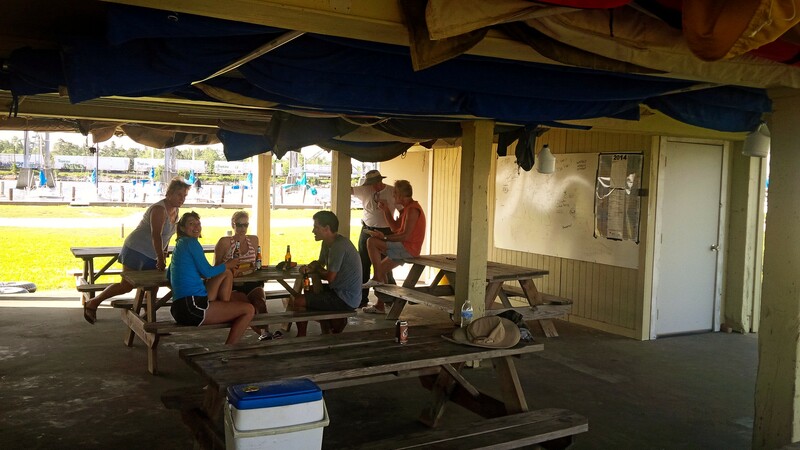 Everyone is friendly, there’s always wind, and with a $1 a day membership, and free access to club boats whenever, it’s the best deal there is. I love the place with all of my heart, and it will always be where I started out.